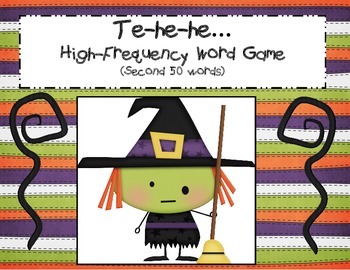 Engage your students in a fun Halloween high-frequency word recognition game. 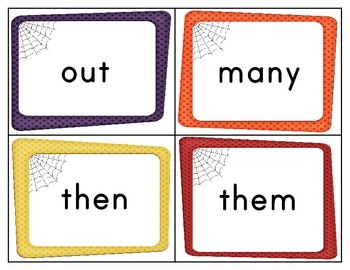 Students draw words from a bag and read them before passing the bag along. 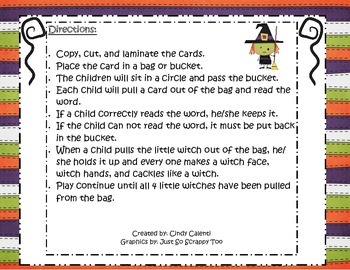 The bag also contains 4 "Little Witch" action cards that signal some fun witch action and cackling! 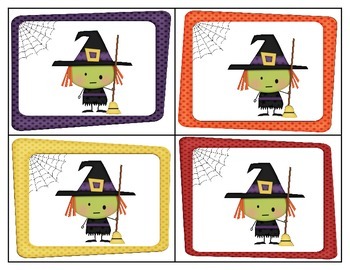 Four Little Witch "action" cards.